Rmmt Holi is played. It Ngade the drum and. 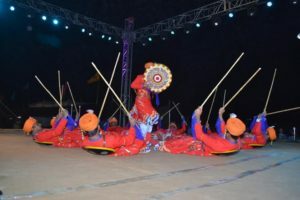 Themes- in Rmmt Camasa, Lavani, Bikaner and Jaisalmer of Ganapati Vandana is the do-it-is the Bikaner district Prasid PUSHKARNA Braharn considered proficient in the Jaisalmer district of Raval race Rmmt people. (अ) independent Bawni, Muml and Cele Tmboln -This fast poet (Jaisalmer) is written by. (ब) Rmmt Amar Singh Rathore -It is opened in Bikaner check Acharya. Note: Bikaner Rmmt PATA is the result of culture. Nagaur district is the ideal care. RAM is considered the care of the parent coil. International artist of this care is Ugmraj. Kuchamni care to the care has been considered a comedy. Nanu Ram the father of Shekhawati care. Nanuram disciple of the father’s care Chidawa Dulia Rana. Hela care Lalsot origin (Dausa) is. This idea is popular in Sawai Madhopur. Poet and father of the idea is Hela. In the life of Lord Krishna leela Leela mention is made of. Is popular in the eastern region of Rajasthan. The artist Antrrashtryyy Raasleela in Rajasthan, Shiv Lal Kumawat (Bharatpur) is. The main headquarters is Phulera Raasleela the Jaipur district. Ramlila eastern region of Rajasthan is famous for. It deals with the life of Lord Ram Leela is described. Hargobind master and slave masters Ramsukh Ramlila major famous artist. The pantomime based on the enactment of Ramlila center Bissau (Jhunjhunu) is.